I ship ship shipppppp. UPS SHIPS IT TOO!. HD Wallpaper and background images in the The Heroes of Olympus club tagged: photo. This The Heroes of Olympus photo might contain rijbaan and rijbanen. That 'me' might as well be, well, me! 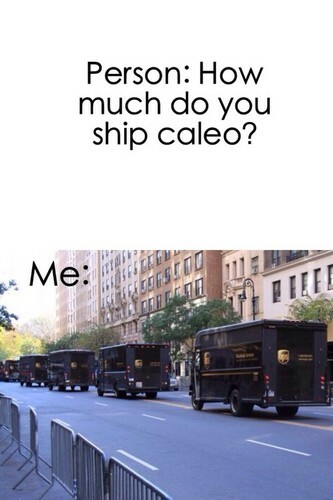 xD I ship caleo so freakin hard! Rick, you better not screw caleo up! AHAHAHAHAHAHA!! i fell out of my chair laughing when i saw this!! ^^*GASP* MERCY!!!!! WHHHHYYYYYYYYYYY?!?!?!?!?!?!?!?!?!?! WHY DID YOU HAVE TO JINX IT?!?!?!?! Please don't jinx it! ppppppllllllllllllleeeeeeeeeaaaaaassssssss­eee­eee­ee!­!!!­!!!­! !